You are here: Home » Social Security Disability » How To Win Your Hearing » If I request a Social Security Disability hearing and have a lawyer do I have to attend the hearing? Learn why attending your Social Security disability hearing with your lawyer is important to proving that you are disabled and to winning your case. Even though you have a lawyer who will present your case to the administrative law judge, it is very important that you attend your Social Security Disability hearing. The in-person hearing is your opportunity to state in your own words why you are disabled. Your presence at a hearing also gives the judge non-verbal information. If you are feeling especially bad on the day the hearing is scheduled, that is all the more reason to attend. If you have mobility problems, they will be apparent. Hearings take a while and if your disability affects your stamina or your ability to sit or you are in pain or mentally fuzzy, these things will become apparent to the judge. Additionally, you can communicate with your attorney during the hearing if something comes up that only you know is significant. In summary, if you have an attorney, you are not required to attend the hearing; but it is truly to your advantage to do so. For more information about what happens at a Social Security Disability Hearing, see our articles What Is a Social Security Disability Hearing and What Can I Expect When I Request a Disability Hearing? 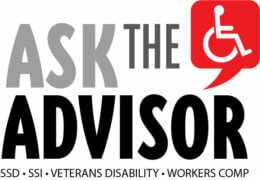 and How Should I Answer the Judge’s Questions at a Social Security Disability Hearing?